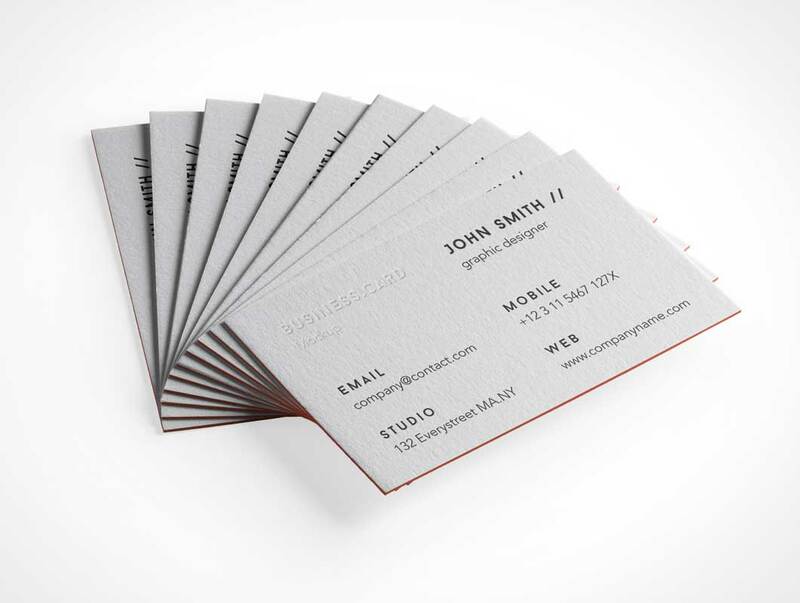 This is a high quality beautiful spread of psd business card mockup for you to showcase your business card designs. You can add your own graphics with ease thanks to the smart layers. Show the world your new logo design with this awesome embossed logo mockup. This logo mockup comes in PSD file with smart layers, a texture of pa the er and editable background color. Friends, today’s freebie is a mockup to create embossed logo effect on paper. This is highly useful to showcase your brand identity or logo design. The smart object layer helps you easily add your own design and save so you can have a nice presentation quickly. You can also change color of the paper and background easily. Just download the PSD file and play around. Download this free embossed logo template rendered on heavy stock textured paper. This PSD template includes all the required Smart Object layers to render your corporate branding logo onto an angled sheet of paper. This heavy stock paper comes with a yellow tint which can easily be modified to the required colour that suites your branding requirements. Here’s an impressive gold letterpress logo mockup created by us just for you. You can use the mockup to showcase your logo or brand identity in a beautiful dark letterpress way. Photoshop Smart-object layers are used to create the mockup and so you can easily edit and add your own logo and get this stunning effect. Today’s freebie is beautiful, carefully crafted mock-ups, that can be used for presentation of your branding projects. Just place your logo instead of default one inside smart object, and you will see how it looks on the different surfaces. This freebie was provided by wonderful studio DesignSomething from Romania. Logo mock up with a brown leather & depth of field. This PSD file uses smart object so you can add your logo design easily. Use this PSD template to create a realistic letterpress printing effect for your logo, lettering and more. Just drag and drop your design inside the PSB file and the smart objects will do the magic. Make a realistic presentation of your logo with this PSD letterpress mock-up. Just drag any shape or text inside the PSB file and the smart objects will do the hard work. The template is available in high-resolution so you can easily adapt it to your needs.